Firstly, hearing “screenings” are exactly that, a screening. They are not a full assessment and are designed to give an indication of whether a full assessment would be warranted. Many hearing clinics do offer “free” hearing screenings, but people should be aware that these are often not completed by qualified audiologists. In fact, they are often conducted by reception staff or marketing staff. They are generally designed to “hook” people in to the clinic with the hope of selling hearing aids. A full hearing assessment completed by a qualified audiologist will generally take around an hour to complete. If you want more information on what is likely involved you can see our article on what to expect at a hearing assessment. Unfortunately there is little public funding for hearing assessments, unless you qualify for the Government funded Hearing Services Program. There is a small medicare rebate available with an ENT referral, and some health funds also offer rebates on audiology consultations. So you have to wonder, how are clinics where all assessments are given away for free recovering their costs? At Pittwater Hearing we don’t offer “free hearing screenings”. This is because, as an ethical practice, we believe in placing equal value on all of our Audiological skills, rather than focusing solely on hearing aid fittings. By charging everyone for hearing assessments (with the above mentioned subsidies), we are able to keep our hearing aid prices as low as possible. We believe this is the most ethical way to run our clinic. Most manufacturers have hearing aids in about 5 levels of technology. The style or look of the hearing aid won’t change too much across the range of technology, so they all look the same from the outside. It’s the level of technology that normally dictates the price. All hearing aids will perform equally well in quiet situations. Higher levels of technology will have additional features to assist you to hear better on the phone, listening to TV and in background noise. There has been independent research that has demonstrated the benefit of some of the features available in the high end technology. At Pittwater Hearing, we keep up to date on the latest technology and independent research that validates the benefit of new features in order to give you the best advice possible. A more expensive hearing aid does not guarantee better hearing for everyone. Everyone’s hearing loss is different, so what works for one person may not be the right solution for another person with a different hearing loss. At Pittwater Hearing we look at a range of factors beyond lifestyle to make recommendations on the level of technology that is suited to an individual client. We are not connected to any particular hearing aid manufacturer so are able to offer independent advice on what options might best suit your needs. Professional Advice: As we’ve already mentioned, everyone’s hearing loss is different, so getting good advice from an experienced Audiologist about what are the best options for you is essential. Different devices and technology work differently for different people with different types of hearing loss. An Audiologist will look not just at your audiogram, but your ability to understand speech both in quiet and in noise, and the difference in hearing levels between your left and right ear before making a recommendation. Your lifestyle and listening goals are also important considerations when deciding whether higher levels of technology would be of benefit. 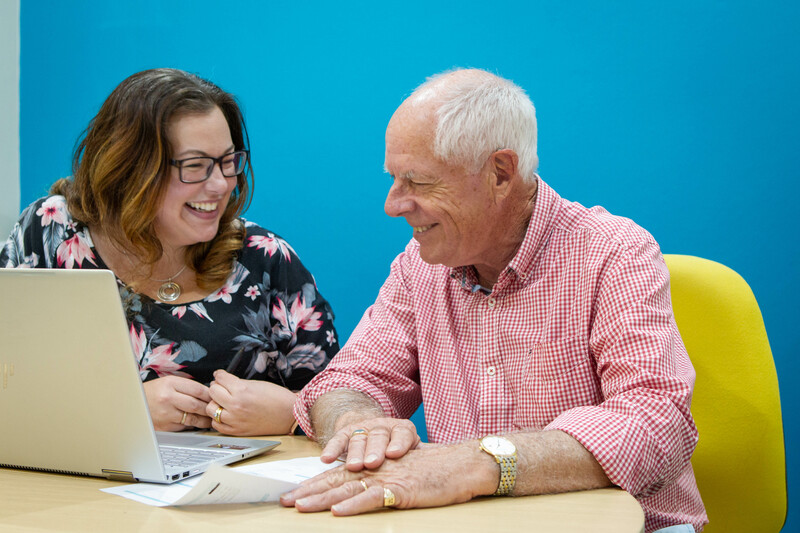 At Pittwater Hearing, we don’t provide our staff with bonuses or incentives linked to hearing aid fittings, so you can be sure that the advice we provide is unbiased, and focused on what is best for you. Hearing Aid Trial: Even with knowledge of your hearing loss, and the different features available, it is impossible for an Audiologist to guarantee your success with a particular device. That is why hearing aid trials are so important. At Pittwater Hearing, we encourage our clients to trial devices before making a decision. We are more than happy for you to try multiple options before making a decision. Once you have purchased a device, you have an additional 30 day return period. Hearing Aid Fitting: The hearing aid is programmed by the Audiologist. At Pittwater Hearing, we use real ear measures to see exactly how much amplification the hearing aid is providing, and if this is a good match to the prescribed levels for your hearing loss. We make a lot of adjustments based on your feedback. These adjustments ensure that we are achieving the best balance between what will give you the best speech understanding, and what is pleasant and comfortable to listen with. Over time, your perception of sound may change as you adapt to amplification, so regular follow ups are encouraged. When comparing prices of hearing aids, it is important to take into account whether follow up adjustments are included, or are they an additional cost? Some hearing aids allow the audiologist to make adjustments via an app on your phone, so it’s not always necessary to come into the clinic for adjustments. Regular Use: Just like anything, wearing hearing aids gets better with practice. Daily use is a key to success with hearing aids. If you only wear hearing aids intermittently, you will find it hard to adapt to the sound, and to manage the devices. Even if you just wear the hearing aids for a few hours every day, this is a good start. So, as you can see, a hearing aid purchase is a lot more complex than it might seem from the outside. Finding an Audiologist that provides unbiased advice on a large range of devices, and is happy to give you plenty of time to trial different devices will ensure that you find the device that is right for you.